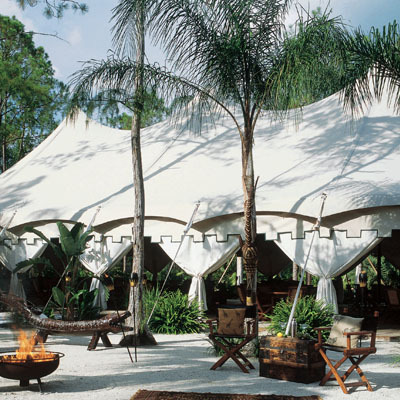 NGALA is the perfect unique off-site venue for Corporate Incentive Programs, Award Ceremonies, Product Launches, and Special Events in Naples, Florida. NGALA® Wildlife Preserve is located on a private, secure, wooded 42-acre location. Every event is exclusive to the destination. The only sounds that you will hear at NGALA®, besides your function, are the tranquil sounds of the waterfall and the occasional chirp of a wild bird. 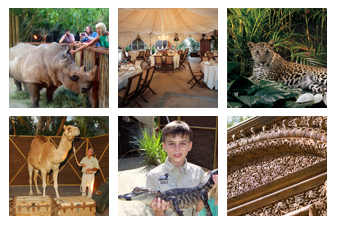 NGALA® Wildlife Preserve has been selected as, “Off-Site Venue of the Year”, according to “Meeting’s South Magazine’s” Meeting Planners’ Poll. NGALA® understands your needs. NGALA® owner, Donovan Smith along with talented and dedicated staff have been involved with the production of corporate events since 1989. 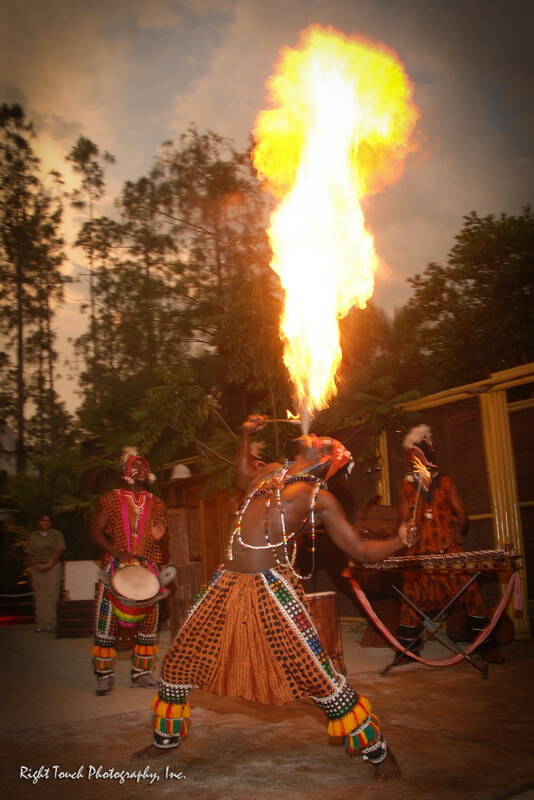 NGALA® is the perfect unique off-site venue for incentive Programs, Award Ceremonies, Product Launches, and Special Events. A refreshing escape from the ballroom, and by far more interesting than the hotel pool NGALA® Wildlife Preserve has something of interest for everyone. This relaxed, dynamic environment provides the perfect retreat and the opportunity for conversation and guest interaction. NGALA® understands return on investment accountability and the reflection of recommendation. We will assist you in creating a program that will respect and satisfy your goals. We are knowledgeable and willing to assist you with the important issues of compliance as they pertain to your business. 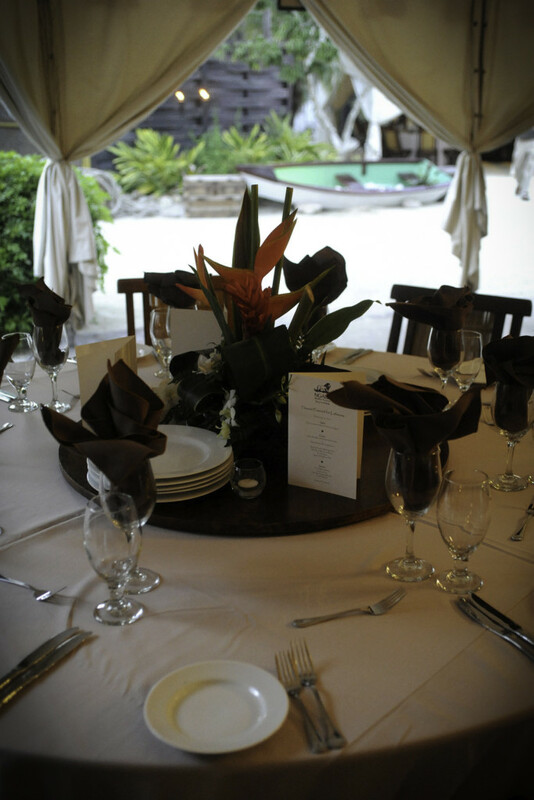 Our team of experts are ready to assist you in custom creating a function that will not only exceed your expectations but will astound and captivate your guests. Food quality, service, authenticity and the overall experience are principles in which we pride ourselves. There is a tremendous value at NGALA®. The level of care and attention to detail in the design, architecture, tropical gardens, furnishings, and authentic artifacts all create an awe-inspiring experience. 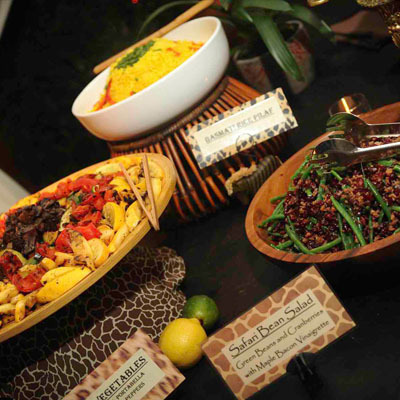 We allow you to custom create your event and spread your budget within our menu of services. The experience of NGALA® will definitely not be forgotten! 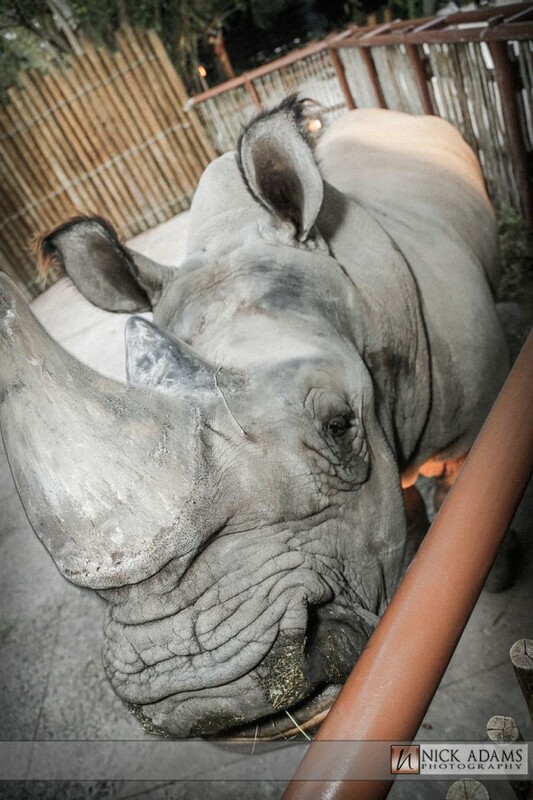 This once-in-a-lifetime experience will honor even the most seasoned traveler. Guests leave inspired and relaxed. They can’t stop talking about the experience. Non-attending co-workers will have a better understanding this wonderful experience when they see pictures of fellow employees feeding Coulter, the Giraffe, a carrot in Naples, Florida, of all places. Regardless of your corporate culture, be it formality or preference for casual gatherings, NGALA® Wildlife Preserve will certainly set the mood. The palatial ambience of the venue will certainly honor the recipient. Best of all, you can choose between many different options with a huge variety of table settings, centerpieces, and other options. NGALA® has the ability to dress itself up or down depending on your needs. 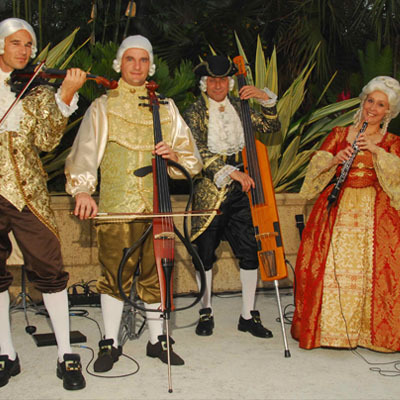 Dress codes may range from “resort casual”- Bermuda shorts and golf shirts or Black Tie. Some hosts instruct their guests to “be prepared” and wear safari clothes. No matter what, the eclectic style and décor of NGALA® is always welcoming, exciting, and unexpected! For those wanting a more designated awards location NGALA® offers a breathtaking venue called the “Stage of Triumph”. Located on The Oasis Lawn this old-Florida Style Zoysiagrass lawn is reminiscent of the lawns located on plantations throughout the south in the grander times at the turn of the century. Surrounding the lawn is a border of natural Florida vegetation, making the lawn as grand as it is very intimate. The center focal point of the lawn is the “Stage of Triumph”, this stone stage and arches create an honorable sense of importance due to the permanent mass created by its presence. Perpendicular to the stage is a reflection pond filled with beautiful Japanese Koi. Their vivid colors trimmed by the stone border of the coping of the pond create a living picture and frame. Surrounding the reflection pond and “Stage of Triumph” are a collection of rare and unusual specimen palms, as well as tropical foliage originating from all over the world. The Oasis Lawn has many capabilities and is equipped to handle major productions and headliner acts. There are three main factors when searching for the most ideal incentive: One It must be exclusive. It must be something that an employee could not do on their own while providing a reason to strive for the quota or goal. Two The perception of value must be greater than the actual cost. Three It must be so unique that not only does the employee get rewarded but their excitement comes back to the office and inspires everyone else to work harder for the next incentive. NGALA® is private and secure. Events and visitations to the site are by appointment only. No matter what your group’s size, NGALA® is exclusive to your function and your invited guests only. If you are seeking a flexible space and a clever venue for your next product launch NGALA® Wildlife Preserve may be the perfect location. From a practical perspective NGALA® can accommodate many products that simply don’t fit or are not permitted in Ballrooms. In addition, by simply utilizing the location as a draw NGALA® will provide an impressive backdrop that will compliment your product and leave a lasting impression for your guests. NGALA® is ideal for products that may require the environment of the great outdoors without the distraction of outside interruptions. 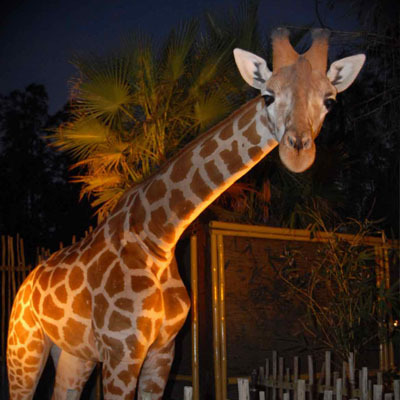 NGALA® Wildlife Preserve is the experienced Meeting Planners “dream come true” for creating a special event that will top any previous event. 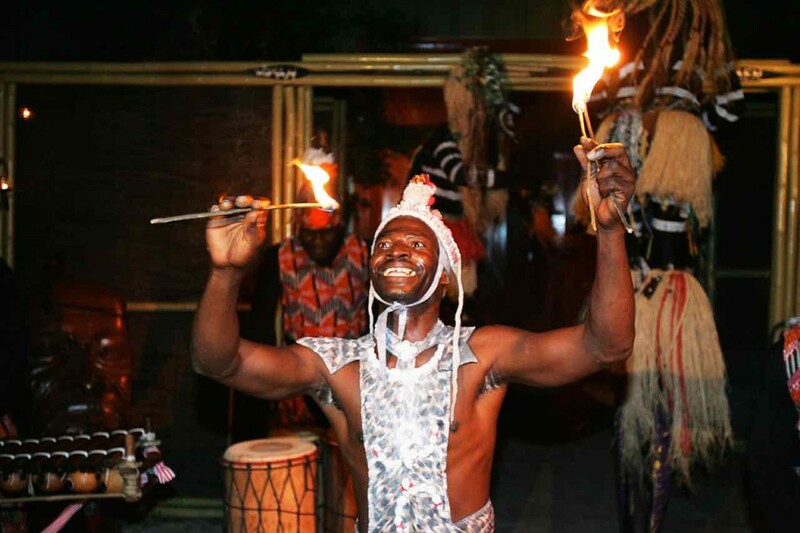 NGALA® provides the perfect opportunity to break up the monotony of your 3 to 5 night programs. Best of all, by providing this opportunity, your guests will be more attentive, refreshed and ready to focus when they get back to business. Located off-sit but nearby, NGALA® provides your guest with an opportunity to relax and unwind after a long day of meetings and instruction.